Announced during the "Let's take a field trip" event held in Chicago on March 27, 2018, Apple's Early 2018 9.7-inch iPad offers users Apple Pencil support, a feature new to the sixth generation iPad line. With a retail starting price of $329, the 9.7-inch iPad features Apple's A10 Fusion chip with 64-bit architecture. Augmented reality (AR) apps can also be enjoyed on the iPad, thanks to its 9.7-inch (diagonal) Multi-Touch display with IPS technology, built-in front and back cameras, and motion sensors. The 2018 iPad also has a Touch ID sensor for added security, which is compatible with Apple Pay. 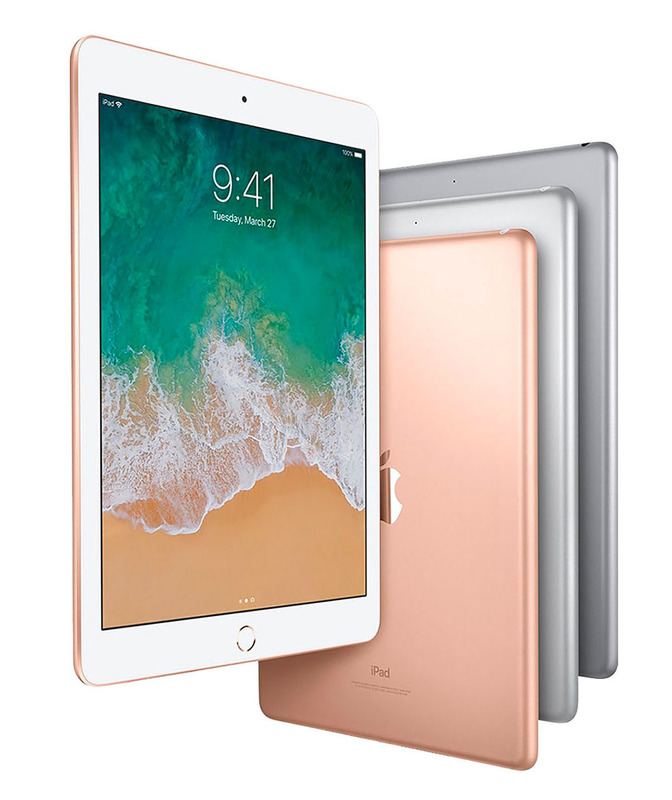 Weighing in at one pound, Apple's 9.7-inch iPad comes in Silver, Space Gray and Gold. Users can also select between Wi-Fi and Wi-Fi + Cellular connectivity. Apple is aiming at the educational market with the new 2018 sixth generation iPad, but the addition of Apple Pencil support has generated a lot of commercial interest in the device. It is obviously superior to the popular iPad 2, but will it replace your iPad Pro?